Much excitement from John Birch over at the Letchworth Girls Rugby Blog at the news that Deborah Griffin, chairwoman at the RFUW, has joined the RFU Council. Deborah is the first woman ever to sit at the top table of English rugby and, with the Women’s Rugby World Cup in England imminent, the timing couldn’t be better. “Getting a seat on the RFU Council is an important step in our transition to a fully integrated men and women’s game in England,” said Deborah, putting down her cigar and glass of port so that she could be measured up for her blazer. 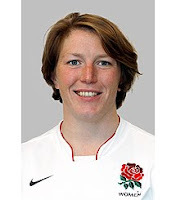 In its ow n small way, Chesham Rugby Club has also struck a blow for integration with the recruitment of England Women’s prop Rochelle Clark as our Head Coach this season. “Rocky” (currently with the England squad preparing for the World Cup where she should win her 50th cap) will be responsible for coaching both the men’s and women’s teams as well as overseeing the transition of junior players into senior rugby. Congrats to Deborah Griffin indeed. It's good to see a mixed RFU Council. Hope the new youngsters don't force you out the side!! I've been participating in women's rugby league for years and this news just absolutely makes me proud. 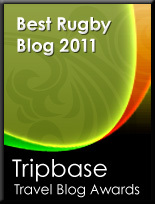 And as the Women's Rugby World Cup is getting close, we have also seen a rise of women getting interested in this sport. Here in my city of Glendale, rugby games are getting exciting and fun as ever. A big congratulations to Deborah Griffin once again! It's about time that women we're seen as equals in rugby and this is the first step, well done the RFU.